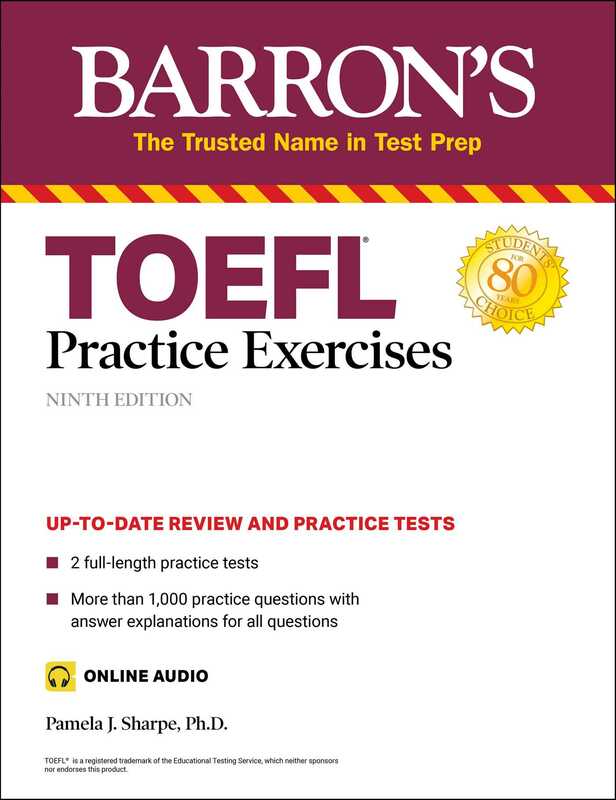 By Pamela J. Sharpe Ph.D.
Barron’s TOEFL Practice Exercises provides students with more than 1,000 practice questions for both the ITP (Institutional TOEFL Program) and the iBT (Internet Based TOEFL). One full-length ITP practice test with instructions for evaluating answers and determining a test score. One full-length iBT practice test with instructions for evaluating answers and determining a test score. The top 100 academic vocabulary words on the TOEFL, along with ten exercises to test proficiency. More books from this author: Pamela J. Sharpe Ph.D.